We welcome your recommendations for additional publications to be added to the Recovery Resource Library. Publications must be recovery-focused and written by a credible organization and/or individual. 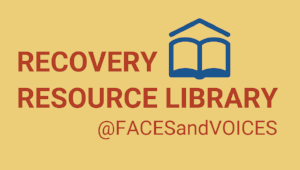 All documents will be reviewed by Faces & Voices of Recovery for inclusion in the Recovery Resource Library.